The next gen Geforce GTX 1180 GPUs from Nvidia could end up 50% faster than the GTX 1080, based on extrapolated data from the Volta architecture. 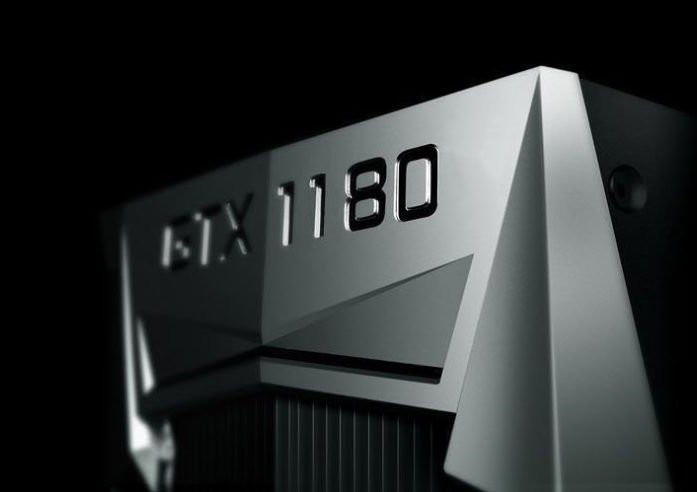 Previously rumored to be released in July this year, the GTX 1180 might get a US$700 MSRP, but this could lead to more availability issues caused by cryptominers. Nvidia managed to keep the next gen GeForce GTX 11xx family of GPUs under wraps pretty well up until now, but this did not really stop speculators to extrapolate all the available data and come up with a preliminary specs sheet and performance projections. The guys over at WCCFTech put together a list of GTX 1180 specs and expected performance, however, strangely enough, they do not cite any sources, so the usual salt disclaimer should apply here, as well. First of all, it’s still not clear if Nvidia will use the Turing or the Ampere architecture, both derived from the Volta one released last year. The new GPUs will be manufactured using the 12 nm FinFET process and the die size will be around 400 square mm. Based on the original Volta specs, the GTX 1180 could come with 3584 CUDA cores, 224 TMUs and 64 ROPs, while the core clock could be set at 1.6 GHz (1.8 GHz boost). On the memory side, the interface should not change from the current 256-bit one. Bandwidth and transfer speeds will theoretically reach 512 GB/s and 16 Gbps, respectively, thanks to the new GDDR6 memory that should come in 8/16 GB configurations. The expected TDP is somewhere between 170-200 W.
Regarding the actual performance numbers, the GTX 1180 could end up 50% faster than the GTX 1080 and around 10% faster than the Titan Xp, at least in 2560 x 1440 tests. The next gen GPU could be even faster in 1080p, but the real improvement should be seen in 4K tests. With the gradual drop of current gen GPU prices, there’s a decent chance for the GTX 1180 to be launched this July with a US$700 MSRP. This, however, may lead to another initial shortage due to high cryptomining demands. It will be interesting to see how Nvidia will handle the initial launch this time around.